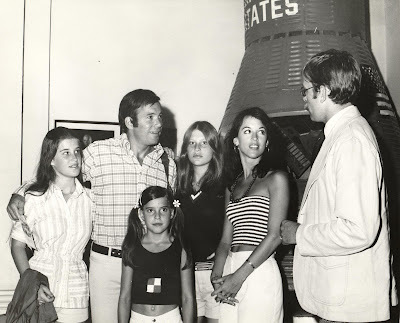 William Shatner visited the Columbus, Ohio's Center of Science and Industry in 1972 with his children and soon to be wife, Marcy Lafferty. If you look closely, you can see Picard looking over his shoulder. And you can look at the squares and squares t-shirt here. is Marcy looking lustfully at...TED? No f'n way! And that could be Ted. Doesn't look quiet right for Stanimal.